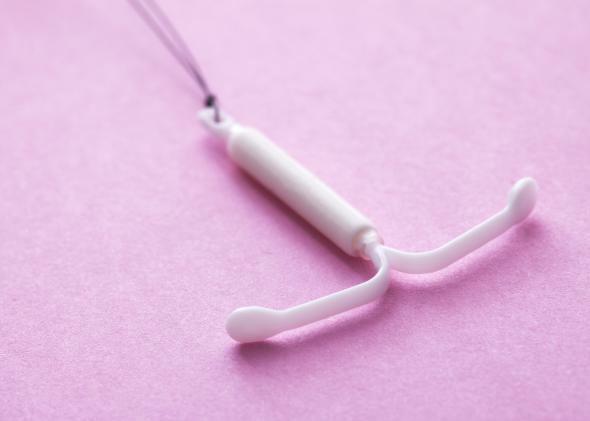 IUD's can be a great poverty fighting: How better birth control can. Could IUDs Be the Next Great Weapon in the Battle Against Poverty? This little piece of plastic could reduce single motherhood. There aren’t any simple solutions to poverty. But of the tools we have, making effective birth control cheap and easily available for low-income women is pretty much a no-brainer. Growing contraception use has already helped bring down America’s teen pregnancy rate to its lowest levels in more than half a century. And in a New York Times op-ed published this weekend, Isabel Sawhill of the Brookings Institution makes a compelling case that the humble IUD could help halt the ongoing rise of single mothers, who are disproportionately impoverished. Here’s Sawhill’s argument, slightly condensed. “Marriage is disappearing,” she writes, and out-of-wedlock childbirth is becoming the norm, with more than 40 percent of new mothers unmarried. Some conservatives say the government should respond by working harder to promote matrimony—but they have little idea of how to do it. Some liberals (including yours truly) say we need to accept widespread single motherhood as a fact of American life and expand the safety net to accommodate them—but that will, admittedly, cost money. Sawhill believes we should split the difference. “What we need instead is a new ethic of responsible parenthood,” she writes. That starts with making sure women don’t get pregnant before they’re ready, since almost 70 percent of out-of-wedlock pregnancies are unplanned. How? In part by raising awareness about the challenges of single motherhood, and in part by promoting IUDs and other long-acting reversible contraceptives that are inserted in a woman’s body and must be removed by a doctor. Many women, Sawhill reasons, end up pregnant because they misuse their birth control (the pill doesn’t work if you forget to take it). But IUDs and implants are basically foolproof—according to one major study, they are 22 times less likely to fail than the pill—because they don’t require effort to use once implanted. Although the devices have had a troubled reputation due to health scares they caused in the 1970s and 80s, today’s models are safe. And while price turns some women off from them—an IUD can cost $1,000 upfront—Obamacare now requires health plans to cover the whole cost of the devices, just like other contraceptives. Medicaid also pays for them in states that have expanded the program under health reform. But Sawhill thinks we should do even more to make long-acting contraceptives widely available, for instance by educating doctors who aren’t up to speed on their benefits. “If these or other new forms of contraception were more accessible and less costly, and if more people understood how effective and convenient they are, unplanned pregnancies would decline,” she writes. The nice thing about Sawhill’s argument is that, even if she frames it as a third path between conservative and liberal approaches to fighting poverty, it can complement either nicely—unless social attitudes get in the way. You won’t find many progressives who are opposed to the idea of making effective contraceptives available on the cheap to every poor woman in America. Fiscal conservatives could get on board, too, since helping low-income women avoid unintended pregnancy prevents the government from having to make welfare program payments when the child is born. According to Brookings’ calculations, preventing an unplanned pregnancy saves Washington at least five times what it costs. You’re most likely to find opposition from the religious traditionalists, like the groups that have challenged Obamacare’s contraception mandate in court, who just can’t abide the idea of subsidizing birth control on principle. But good policy ideas are always going to make somebody unhappy. We shouldn’t expect better birth control availability to work miracles. Researchers have found that around 40 percent of accidental pregnancies result from the misuse of contraceptives. On the one hand, that demonstrates just how much of a difference fail-safe options like IUDs can make. On the other, it shows that getting many couples to use contraceptives at all is still a formidable challenge. A giant educational campaign might help raise awareness, but Brookings’ own projections suggest that such a push would only reduce the number of children born to unmarried parents by just a few percentage points. That would be wonderful progress, but it wouldn’t be the end of single motherhood. Even if change came faster, there would still be millions and millions of one-parent families in need of a stronger safety net in the U.S.. But in the end, that simply means nobody should fixate on better birth control as a silver bullet for poverty (Sawhill, to her credit, doesn’t). There’s no good argument against promoting effective contraceptives. Like I said, it’s a no-brainer.